An internal memo sent by Angela Ahrendts, Senior VP of Retail and Online at the Cupertino tech giant, reveals that Apple Watch will NOT be available for walk-in purchases on April 24, as previously promised by the company. This essentially means that you will have to order the Watch online if you want to get it with expected shipping moved to no earlier than June. The ex-Burberry executive encourages her employees to help people place their orders online and assure the consumers that they will still receive the help setting up their Apple Watch both online and in retail stores. The gadgets will remain available for walk-in previews. On behalf facility of Tim and the rest of the executive team, I wanna thank you very much for making last Friday’s debut of Apple Watch unforgettable. The Previews going on in our stores and the support from our Contact Centers are Unlike anything we-have done before. The feedback from customers is overwhelmingly positive. They are excited about Apple Watch, and your teams are fantastic experiences for Creating Them. Customers Who pre-ordered Will start receiving send Deliveries next Friday as Planned, and I know you Will Do a great job helping get set ’em up. Many of you-have-been getting issues if we ask asking Will Have the watch available in stores on April 24 for walk-in purchases Single. As we annoncé last week due to high global interest combined with our initial supply, we are only Taking orders online right now. I’ll more-have updates as we get closer to in-store availability, purpose we expect this to continue through the month of May. It Has-been not an easy decision, and I want to share with you the thinking behind it. 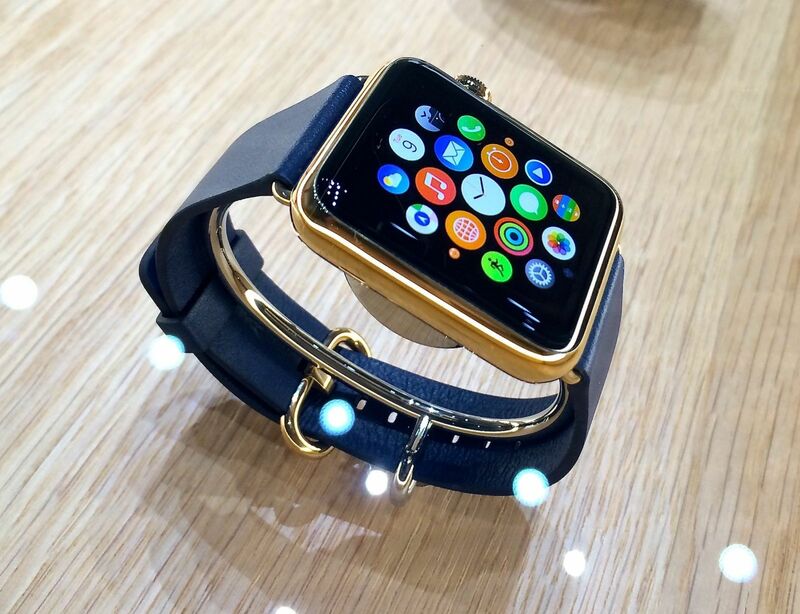 It’s significant to Remember That Apple Watch is not just a new product aimed year Entirely new category for us. There’s never-been anything quite like it. To Deliver the kind of services our customers-have come to expect-and expect from Ourselves Abebooks web-we designed a new approach completely Call. That’s why, for the first time, we are Previewing a new product in our stores Before It Has started shipping. Watch Apple est Our most personal product yet, with multiple case and band options Because it’s an object of self-expression. Given the high interest and initial supply at launch, we Will Be reliable customers to get the model They Want Earlier and faster by Taking orders online. I know this is a different experience for our customers, and has changed for you as well. Are we going to launch Every product this way from now on? No. We all love those blockbuster Apple product launch days-and There Will Be many more to come. They’re the times Where You, our teams, shine. And our customers love them as well! Apple Watch is an exciting new product and we are at the start of a very exciting time at Apple. You’re the best team on earth and you are doing an amazing job. For customers Who want to buy a watch, please continue to help ’em up Their order online. Also make sour That They Know, Wherever They buy Apple Will Provide Them with Personal Setup a great experience – Either online or in our stores. This includes syncing Their Watch With Their Apple iPhone and teaching ’em about all the incredible features of Their New Apple Watch. Thank you very much again, and I look forward to seeing you soon.